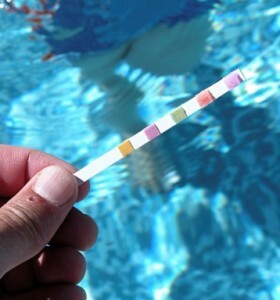 ABOVE: Pwtag advises on ph correctants for swimming pools. When deciding on a pH correctant for your pool it is important to do a risk assessment in accordance with the Control of Substances Hazardous to Health regulations (COSHH). You need to think about the possible harms, how they can be reduced and whether avoided by using something else, or a safer version. If you can’t prevent exposure, you need to control the risk of harm as much as is ’reasonably practicable’. This may involve issues of ventilation, PPE, management controls and human factors. The risk assessment should also consider maintenance, exposure monitoring, health surveillance, information and training. Now the choice. There’s nothing in it financially – taking into account prices, storage and safety measures. To read more subscribe today !